Brian Bowman updated his profile. View. Brian Bowman posted a message. New comment added. Thinking of all of your from our Great Days in Dixon! Do you feel the change each year when the Christmas season starts? Gentleness, kindness and charity increase and spill from many hearts. Retailers promise this will happen when we earnestly shop the marts. Grocers insist the cause is loading more seasonal items into our carts. Others suggest that family and friends play some of the major parts. Bakers agree the origin is found in a plethora of cookies, pies and tarts. But, in truth, ‘tis none of these which make such qualities top the charts. Rather, rejoicing in the birth of Christ is that which the blessing imparts. That we “might have life more abundantly”, the Father sent His most precious Son. Among the adjectives describing Brian’s life this year, “abundant” is definitely one. 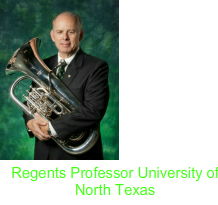 After nineteen wonderful years at UNT he retired and announced his work was done. To honor their professor at a final concert and gala, his students returned to Denton. They presented him with a cruise so that finally he would go somewhere just for fun. Touched beyond words by their kindness and love, Brian often had to let the tears run. The goodness and success of his students testifies that Euphonium Utopia he’d begun. A scholarship endowed in his name by a euphonium would-be star now may be won. The recitals, excitement and work of the final semester eventually came to an end. To make way for a new professor, it was vital to the office clean-out task to attend. Despite months of long hours, part of the office came home, the process to extend. That he and Vinette worked together all day on the project was the biggest dividend. In August the two paused so Brian as Falcone Contest judge to Michigan could wend. What a joy it was to solo, judge the contest, and greet each dear and special friend. A greater joy to end his teaching career one would be hard pressed to recommend! They visited Sauders in Illinois and Iowa having fun visiting from morning till dark. They finally saw the Nauvoo restoration, an item on Vinette’s bucket list to mark. Antelopes playing on the lawn at the military base in Wyoming did interest spark. Next, off to Utah to nieces, nephews and BYU Education Week they did embark. Maybe, if they did not go home, life in retirement truly could be a walk in the park! Eventually, however, they had to go home to the realities of down-sizing so stark. Review box or closet and decide to sort, scan, shred or stow is the Bowmans’ daily chore. The planned move to Virginia this fall is rescheduled to spring (per the neighborhood lore). This year they simply wonder how many more months it will take to get them out the door. 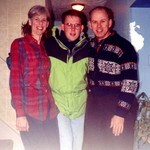 Heavenly Father continues His blessings of health and happiness on the Bowmans to pour. The Bowmans wish you the joy that comes from letting God’s love penetrate to your core. May your heart be filled with the peace and the love Christ brought, now and forever more. Thinking of all our friends in Dixon from those great days growing up in a great town. Merry Christmas and a Happy New Year 2019 to all!! Brian Bowman has a birthday today. Brian Bowman added a comment on his Profile. Brian Bowman posted a message. Happy Birthday Lester!! Remember all our great times together in Dixon. All best wishes to you in your retirement. Take care of yourself! Brian Bowman has left an In Memory comment for Pamela Goddard. Pam was always one of the smartest girls in the class and always really looked sharp. Always on top of things and very vivacious. it is hard to believe that she is gone now, but we can remember her well! Did you see Miss Scott's obituary? A memorable teacher 2nd and 4th grade at South Central School.